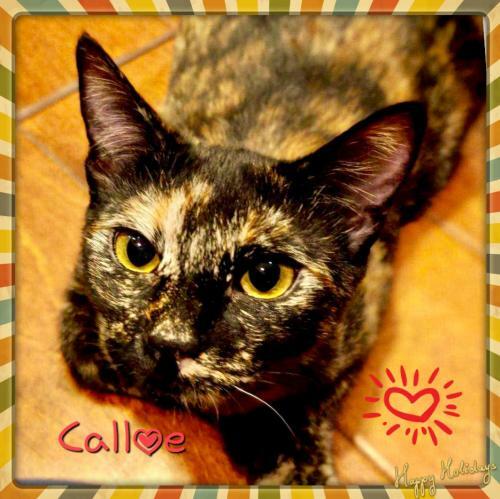 Callie is a very dark colored tortoiseshell with the smallest amount of white. 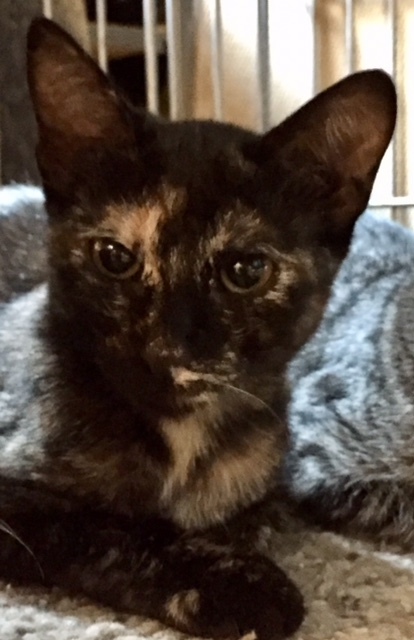 she is very beautiful and sweet and is hoping to be adopted along with one of her 4 litter mates to a loving home. Mom and all kittens were fixed, vaccinated, chipped, dewormed and defleaed and are healthy. 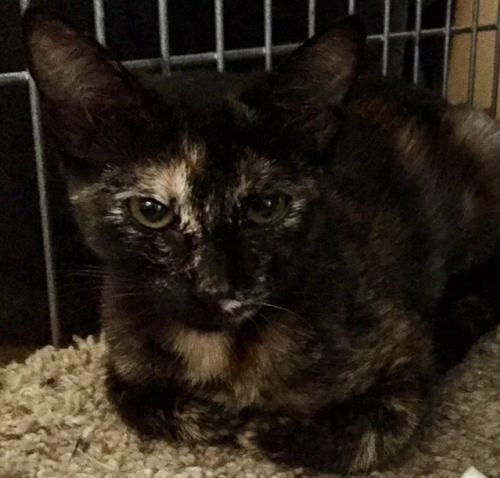 If you are interested in adopting this little darling Callie please contact Antje at 562-212-7792 or email aljagd@yahoo.com. A tax deductible adoption fee of $125 helps cover the initial medical costs.